On Sunday, 28th April, Hywel and Mike will unveil a five course tasting menu in The Oak Room and on Monday, 29th April, Hywel will hold a private kitchen demonstration, which includes a special three course luncheon in The Carriage House Terrace. Guests have the option of attending one or both of these unique occasions from our selection of specially created overnight packages. Adare Manor is delighted to welcome award winning Michelin Star Executive Chef Hywel Jones for a special luxury culinary experience. Hywel, who has retained his Michelin Star for 12 consecutive years, and currently is Executive Chef for the Michelin-starred restaurant at Lucknam Park in Wiltshire and The Brasserie will be hosted in The Carriage House Terrace restaurant on Monday, 29th April, overlooking the beautiful surroundings of the resort and The Golf Course at Adare Manor. 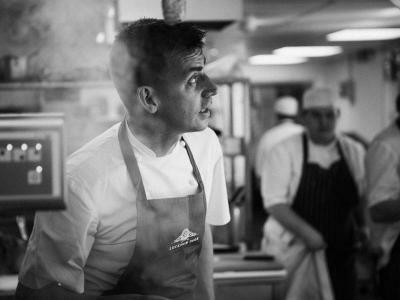 This will commence with a special one-hour private kitchen demonstration by Hywel Jones, where Hywel will prepare dishes including: Braised Cornish Turbot, Buttered Crab and Iceberg, hand rolled Macaroni and Wiltshire Truffle Butter; Pistou of Spring Vegetables and Roast Diver Scallops. This will be followed by a luxury three-course luncheon. *Tickets to the Chef Experience demonstration and luncheon are non-refundable and must be prepaid in advance.